You are what you eat. So eat and drink well to live well. Question: Women, what do they want? Hint: Two things - one, antioxidant as that's synonymous to anti-aging (yes, yes - everyone wants to always look beautiful and young). Plus there are also claims that antioxidants help with conceiving - so mothers-wanna-be, do take note of what you are eating. And two, collagen to keep the skin glowing and supple. So what can we eat to achieve that look of youth? Here's a simple receipe that can help you achieve these goals. 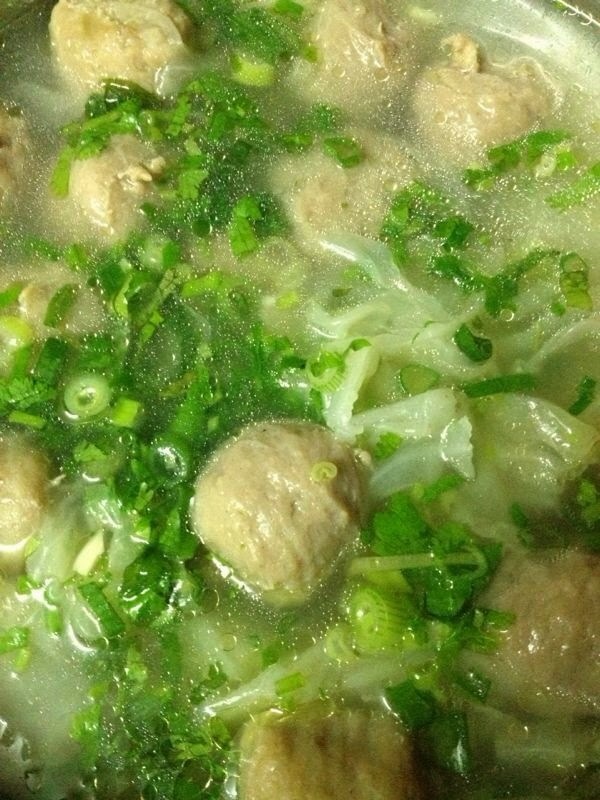 A bowl of hot soup with cabbage and beef ball made from phoenix claw (what's that, you ask? we'll keep the suspense for now...) broth. It's easy to make and with all things in life, consistency is the key. So drinking this once isn't going to work as this is no miracle broth. But drink it often and you will be able to see the beneficial effects on your skin. These are the key ingredients that make this soup healthy and nourishing. Cabbage (Brassica oleracea or variants) – a leafy green biennial plant, grown as an annual vegetable crop for its dense-leaved heads. It’s “cousins” are the broccoli, cauliflower and brussel sprouts. The late Middle English word “cabbage” derives from the word caboche (head) from a dialect of Old French. Cabbage is rich in beta-carotene, vitamin C, vitamin K, potassium, fiber, indole-3-carbinol (don’t worry about remembering this, so long you understand that it is a chemical that boosts DNA repair in cells, and therefore block growth of cancer cells). How do the above benefit the body? The key value is the ability to reduce the risk of some cancers, especially those in the colorectal group. Fiber helps with bowel movements, so, the trip to the toilet will be less, err, straining. Other benefits include helping in the production of blood clotting proteins, regulate blood pressure, and promote a steady heartbeat. Note: those with thyroid problem should avoid eating copious amounts of cabbage as it interferes with the absorption of iodine, which is required by the thyroid gland. 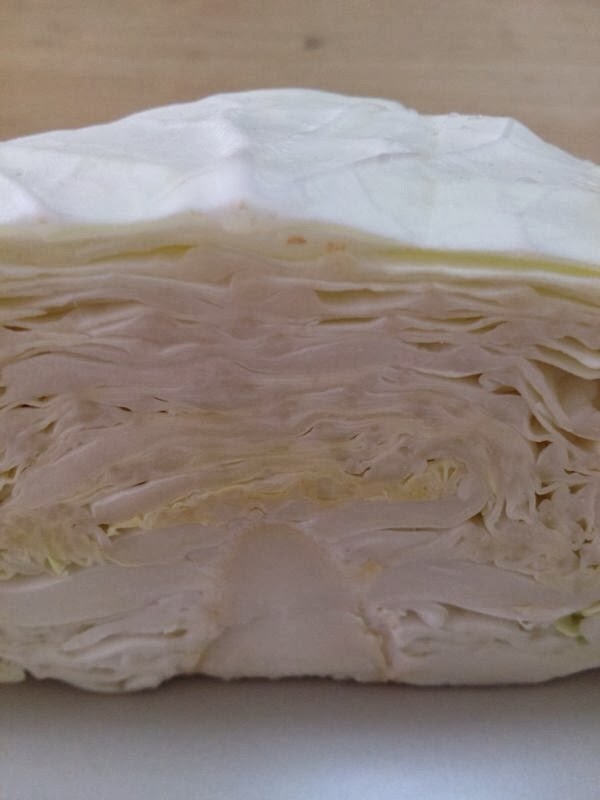 Cabbage trivia: there is a legend told to children that babies come from cabbage patches. And we thought it was solely the stork who brought the babies! Phoenix Claw – having “undress” the name, phoenix claw is a glam name for the humble chicken feet. The faint-hearted may actually faint at the sight of chicken feet (with cropped toes) swimming in the soup, but chicken feet is packed with collagen. So what is collagen? Collagen, in simple terms, is protein that acts as a glue that holds our body together. The benefit of collagen is not simply for a good lookin’ skin (no saggy bits), but it’s also for the heart. 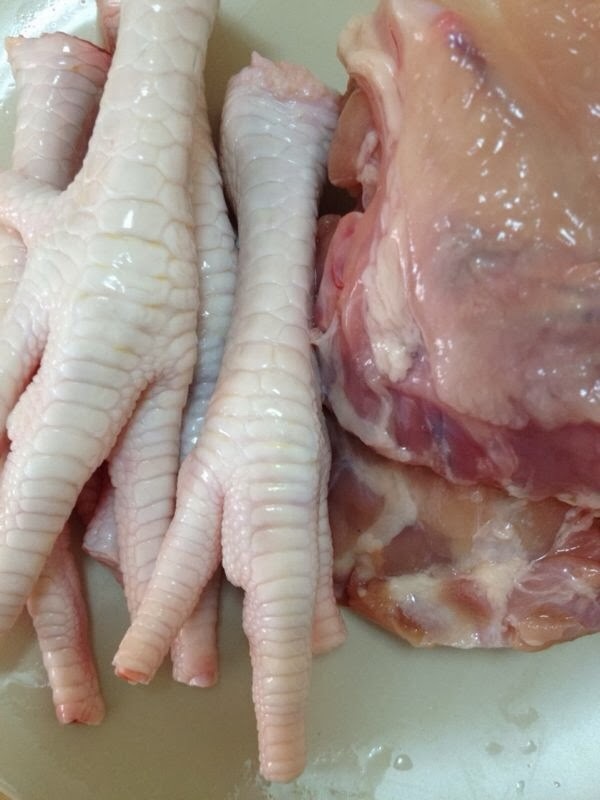 Chicken feet trivia: China is the major destination of chicken feet from around the world, and after China joined WTO, the Chinese can enjoy direct import of American chicken feet into the country. Chicken feet can be a source of economic discussion at ministerial level. Chicken feet – give the feet a pedicure, chop off the nails. a. Wash the cabbage, peel the leaves, and cut them into bite pieces. Leave aside. e. Put in the beef balls, and boil for another 15 mins. f. Chop the Chinese coriander and spring onions for soup garnish. g. Voila! Soup is ready to be served. Try it out and leave comments to let us know how it goes! Have fun. Mung beans are also known as cellophane noodles or glass noodles (冬粉). The gluten-free pasta earned these odd names because it turns from white to clear when boiled. And even after boiling and baking them in pasta sauce, the noodles retain a common chewy noodle texture. Mung beans don't have much natural flavor, so they absorb the flavor of other ingredients. Downside to the noodles is that they aren't friendly on the figure. One cup of dehydrated mung bean noodles contains 491 calories and 121 grams of carbohydrates. The beans don't offer any protein and very little fiber to your diet. However they contain iron, phosphorus and selenium. To boost the nutrition factor, pair the noodles with vitamin-packed veggies, lean proteins and low fat dairy products. Although the noodles are a splurge, it's nice to have a gluten-free option that withstands boiling, baking and tossing with other ingredients without falling apart (like some gluten-free carbs). Do you use mung bean noodles? What are you favorite recipes? Please share in the comments section below. Diet is one of the most important aspects of maintaining good health and treating ailments. Eating well and eating right is about moderation, discipline and balance. Wellness is nourished with the right taste, along with food and herbs chosen and consumed in the right seasons or circumstances. This blog will share easy-to-use herbal recipes that are tailored to the body's problem area. Do try them and share with us your experience. DASH Diet for Weight Loss, Lower Blood Pressure, Boost Metabolism and Get Healthy!